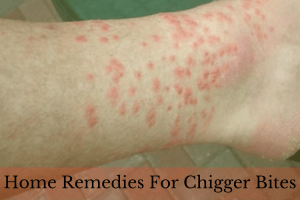 Chiggers are small tiny insects which are barely visible to the naked eye. These minute pests get attached to skin, drill microscopic holes and inject enzymes into it. These enzymes slowly kill the skin cells surrounding the holes and feed on them to live. You may not notice the chigger bites immediately after they attack you. The symptoms start showing after few hours. Common symptoms of chigger bites include constant itching, red bumps, rashes and swelling. In most cases, chigger bites are not harmful and don’t spread any disease. They heal on its own within 1 – 3 weeks but the constant itching makes it difficult to sleep or concentrate on anything. Meanwhile to control the itching, swelling and pain, you can try some simple natural remedies. How to Get Rid of Chigger Bites? Here is an assortment of various methods that helps to cure the discomforts caused by chigger bites. You can try any method as per your interest to get relief. Taking a hot shower as soon as you suspect a chigger bite. The temperature makes the chiggers to fall off and minimize the bites. Using a mild antibacterial soap, rub your body thoroughly. Take a hot water shower and pat your body with a soft towel. Avoid rubbing your body harshly as it can lead to rashes and increase the pain. Apply some olive oil or mild moisturizer. Note: Avoid using too hot water for showering as it can hurt your skin. Make sure to wash your clothes in hot water. This simple solution for chigger bites shows result quickly. The viscous gel holds the salt granules in place while menthol in Vicks Vapor rub soothes the inflammation and provides relief from itching. Take enough amounts of Vicks Vapor Rub and add some salt into it. Mix well and apply it over the chigger bites. Leave the application overnight and rinse off in the morning. The swelling and itching will be gone by the morning. Repeat this process another 2 nights to reduce the remaining inflammation. The anti-inflammatory properties of baking soda has a soothing effect on the rashes. It acts as a natural acid neutralizer to provide relief from itching. Leave it on to dry for 15 minutes and rinse off with water. Repeat the process daily until you get relief. Cold compress provides temporary relief from the itching associated with chigger bites. The cooling effect soothes the itching by slowing down the transmission of nerve signals from the affected skin. Wrap few cubes of ice in a thin towel. Press it against the affected area for 10 minutes. Take a break of a minute and again repeat the application. Follow the process 2 – 3 times. Repeat this remedy whenever you feel the urge to scratch the chigger bites. Note: Never apply the ice directly as it can lead to frost bite. Menthol present in Listerine cools the irritated skin and provides relief from itching. The antiseptic properties of Listerine also help to reduce the swelling. Dry it with the clean towel. Soak a cotton ball in the mouthwash and apply it directly over the bites. Note: You can also use any other mouthwash that contains menthol. The tannins present in tea possesses astringent properties which provide relief from swelling and redness. It also soothes the sting and itching caused by chigger bites. You can use green tea, herbal tea or black tea for this process. Boil a cup of water and add green tea or herbal tea bag into it. Let it steep for 5 minutes and remove the tea bag from it. Keep it aside till it completely cools down. Apply the cooled tea bag over the chigger bites. Leave it on for few minutes and remove it. Oatmeal contains anti-irritant properties which relieves the itching and swelling related to chigger bites. Its soothing properties provides relief from irritation and prevents scratching. Grind 1/2 cup of oatmeal in a blender. Add enough amounts of water into it to make a smooth paste. Spread it evenly over the affected areas and let it dry out. Epsom salt treatment can work wonders in treating chigger bites. Magnesium sulphate and other minerals in Epsom salt soothe the irritated skin and draws out the toxins from the skin. It dries out the oozing bumps. Dissolve 1 tablespoon of Epsom salt in a cup of water. Soak a cotton ball in the salt solution. Apply it on the affected areas of the skin. Repeat the application 2 – 3 times in day for 2 weeks. The cooling sensation of peppermint provides relief from itching and irritation. Peppermint also increases blood circulation to the affected area and reduces pain. Apply few drops of peppermint essential oil directly on the chigger bites. Gently massage in circular motions for a minute. Note: If you have sensitive skin or cannot withstand the strong nature of essential oils then dilute peppermint oil with any carrier oil like olive oil or coconut oil. Apple Cider Vinegar balances the pH of the infected area and inhibits the action of bacteria. It also prevents secondary infection that may arise from scratching. It heals the sores caused by constant itching. Place it over the chigger bite. Leave it on for several minutes and then discard it. Frequent application of aloe vera gel to the chigger bites help to prevent infection and even heal an infection id it has already begun. The powerful antibacterial properties of aloe vera soothe irritation, swelling and redness. Slit an aloe vera leaf lengthwise and extract its gel using a spoon. Apply this gel generously over the affected areas of the skin. Repeat the application as many times as you can in a day. Tea tree oil reduce the severe swelling and itching caused by chigger bites. It also prevents secondary infections caused by excessive scratching. Undiluted tea tree oil can be harsh on the skin, so it is recommended to use it in diluted form. Mix equal parts of tea tree oil and water. Dip a cotton ball into it and place it on the affected skin. Repeat the process 2 times in a day until you get complete relief. Note: Excessive use of tea tree oil may dry out the skin, so make sure to apply any moisturizer after the treatment. Using natural moisturizers like coconut oil or olive oil can be beneficial. The anti-inflammatory properties of turmeric heal the irritated and swollen chigger bites. The antibacterial and antiseptic properties of turmeric provide immediate respite from the bites and prevent serious infections. Crush some fresh turmeric root to form a paste. Apply it directly over the affected skin. Wait for 30 minutes and wash off with water. Note: If you don’t have fresh turmeric root, then you can use dried turmeric powder as well. Mix the turmeric power with some water to form a paste. Apply it evenly over the bites. Let it dry completely and then wash off with water. When you apply rubbing alcohol on the chigger bites, it starts evaporating instantly, and this evaporation creates a cooling sensation that overpowers the itching. Its disinfectant properties prevent secondary infections while the histamine action prevents swelling. Using a cotton ball, apply rubbing alcohol directly to the chigger bites. Apply a fresh coat of rubbing alcohol several times a day until the itching subsides completely. The anti-inflammatory properties and salicylic acid of aspirin reduces the redness, swelling and pain caused by chigger bites. Crush few aspirin tablets into a fine powder. Add some water into and mix well to make a paste. Leave it on for a 10 to 15 minutes. The anti-inflammatory properties of olive oil provide relief from swelling and redness. The vitamin E content and antioxidants improve healing and reduce itching. Clean the affected areas with antibacterial soap and water. Pat dry and spread olive oil generously on the affected areas. Leave it on for as long as you can and wipe off the excess with a tissue. Repeat the process several times in a day until you get relief. Note: You can add some honey or tea tree oil into olive oil for added benefits. Alternative Method: You can use castor oil or baby oil instead of olive oil. Chamomile is one of the easy and effective remedies for treating chigger bites. It contains anti-irritant, anti-inflammatory properties. It also speeds up the healing process. Brew 2 cups of chamomile tea. Refrigerate it to cool down. Soak a washcloth in the solution and wring out the excess. Place it on the affected areas and let it sit for 10 minutes. Remove the wash cloth and pat dry. Repeat the process couple of times in a day. Alternative Method: Dilute 4 – 5 drops of chamomile oil in 1 tablespoon of coconut oil. Apply the mixture on the affected areas and rinse off with water. Repeat the application few times in a day. Indian lilac or neem is helpful in dealing with all the discomforts caused by chigger bites. It contains anti-inflammatory and anti-irritant properties. It prevents the risk of secondary infections. Add handful of neem leaves into 2 – 3 cups of water. Simmer the mixture for 15 minutes. Strain the solution and allow it cool down. Wash the affected areas using this solution. Repeat the process couple of times. Alternatively: You can also apply any cream or lotion that contains neem extracts on the affected area. Essential oils are also effective in providing immediate relief from the discomforts caused by chigger bites. You can use lavender oil, tea tree oil or thyme oil for this process. Dilute few drops of essential oil into carrier oil. Leave it on to dry for 15 minutes. Wipe off the excess with a tissue paper. Cornstarch is effective in reducing the soreness and itching caused by chigger bites. Add a cup of cornstarch into your bathwater. Soak in it for 15 – 20 minutes. Repeat the process whenever you feed constant urge to itch. This process makes an anti-itch spray which makes provides relief from the itching immediately. You can prepare and carry the spray wherever you want. Brew a cup of herbal tea and let it cool down. Add few tablespoons of salt into and mix well. Pour the solution into a spray bottle and place it in the refrigerator. Spray the solution on the chigger bites. This process is very effective in treating the chigger bites. Apart from providing relief from the itching, it dries out the bumps and kills the chiggers. Combine enough amounts of diatomaceous earth and water to make a paste. Apply it on the affected areas and leave it on for 15 minutes. This homemade anti-itch cream provides relief from itching and other discomforts caused by chigger bites. Into a glass jar, add 2 teaspoons of bentonite clay, 1 teaspoon each of non-nano zinc oxide powder, fine sea salt and baking soda. Now slowly add 1 tablespoon of witch hazel into the solution. Mix well to achieve a creamy consistency. Now add 10 drops of peppermint essential oil into it and stir well. Store the remaining mixture in an airtight container away from the direct light. Repeat the application daily until you get relief from the itching. Many people believe that applying a coat of clear nail polish over the chigger bites will reduce itching by suffocating the chiggers. But that is not true. The coat of nail polish over the affected area reduce itching and prevents you from scratching it. This helps to prevent the risk of secondary infection. Make sure to take enough precautions to avoid chigger bites during summer and fall as they chiggers are active in these seasons. Avoid brushing up against the vegetation while hiking or strolling in the woods. Wear long sleeves and pants while going into the woods. Make sure to apply mosquito repellants to avoid chigger bites. Avoid scratching the chigger bites as they can lead to infections. You can also apply calamine lotion, anti-itch creams to deal with itching. Blowing a dryer on the affected areas also provides relief from itching. Make sure to hold the dryer 5cm away from the skin. In order to reduce excessive itchiness, you can wrap the area with an ace bandage. This will intrude the air supply and reduce itching. Get in touch with a doctor if you experience fever, headache, and shortness of breath, vomiting, joint ache or drainage of pus from the bites. Use natural or chemical insecticides to treat your yard. It will eliminate the chigger population around your house. Contact a professional pest controller to treat your laws, trees and shrubs if commercial insecticides fail to show effect. Avoid sitting or lying down on the lawn to prevent exposing your neck and face to chigger bites. Mow your yard frequently to keep the grass short. Prune the trees and bushes to allow more sunlight into the yard. 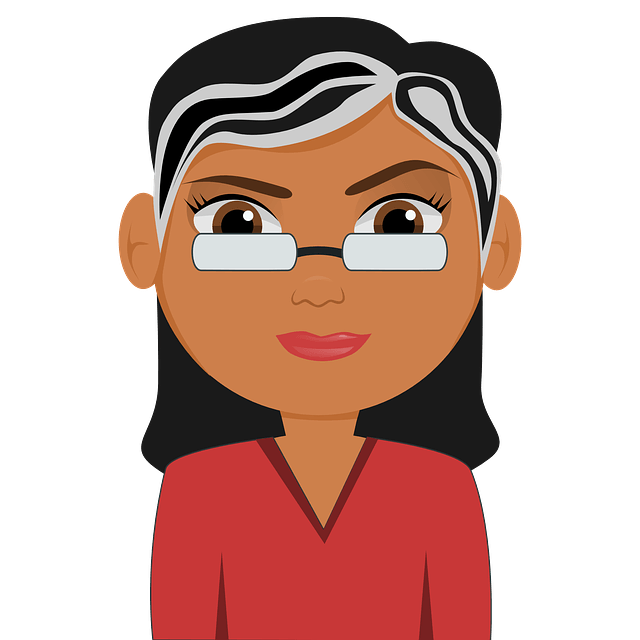 Was the article helpful for you? Do you know any other methods that are helpful for curing chigger bites? Share your experiences, suggestions and queries with us in the comment section below. We are happy to hear from you.